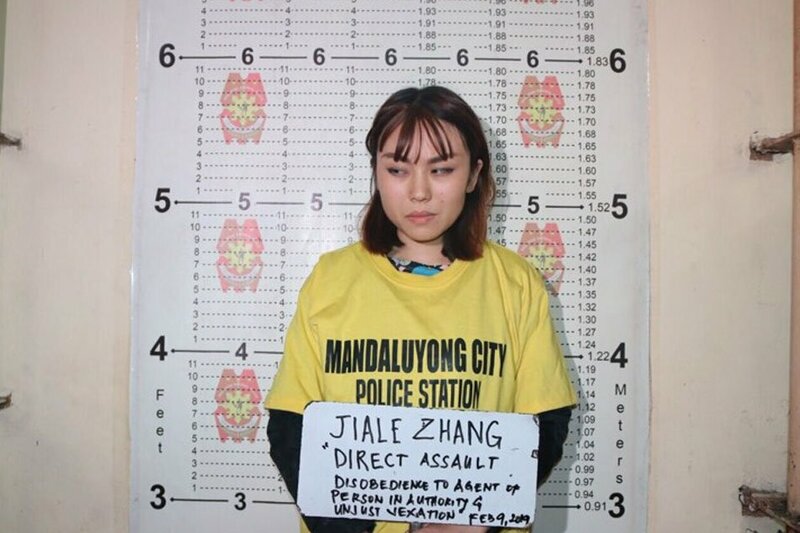 MANILA (UPDATED) - The Bureau of Immigration on Monday said it is investigating a Chinese woman for allegedly hurling a cup of "taho" at a policeman, which may result to her deportation and inclusion in the blacklist. The woman, identified as 23-year-old fashion student Jiale Zhang, allegedly splashed the policeman with taho last week after she was barred from entering an MRT-3 station due to the railway's no-liquid policy. The Immigration has not received any complaint against Zhang, but mounted a moto propio investigation to "study possible actions" against her, said bureau spokesperson Dana Sandoval in a statement. The bureau, she said, will coordinate with the transportation department and the Metro Manila police for details about the case. Immigration officials were still verifying the details of Zhang's stay in the country and the school she is enrolled in, added Sandoval. The foreigner will also be required to submit an affidavit, she said. Among those calling for Zhang's deportation are scores of social media users and Senator Richard Gordon. "The Chinese nationals here and all other foreign nationals staying in our country should respect our rules and laws. They should not flout our rules and they should also respect the officials who are implementing our laws," the senator said in a statement. China, he added, "should advise its nationals about complying with the rules and laws of our country and respecting persons in authority here."